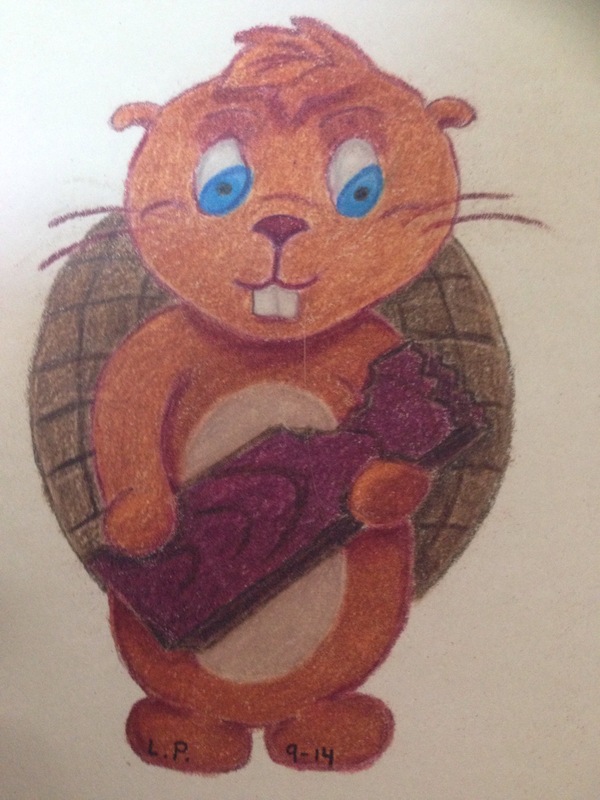 It took me longer than I’d like but mostly because life got in the way. 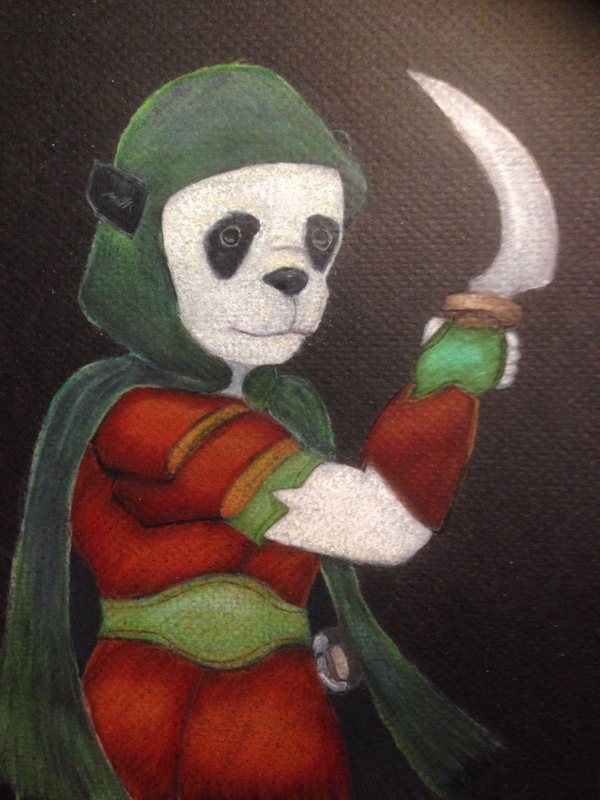 This panda is deadly dangerous with his double curved blades and leather armor. 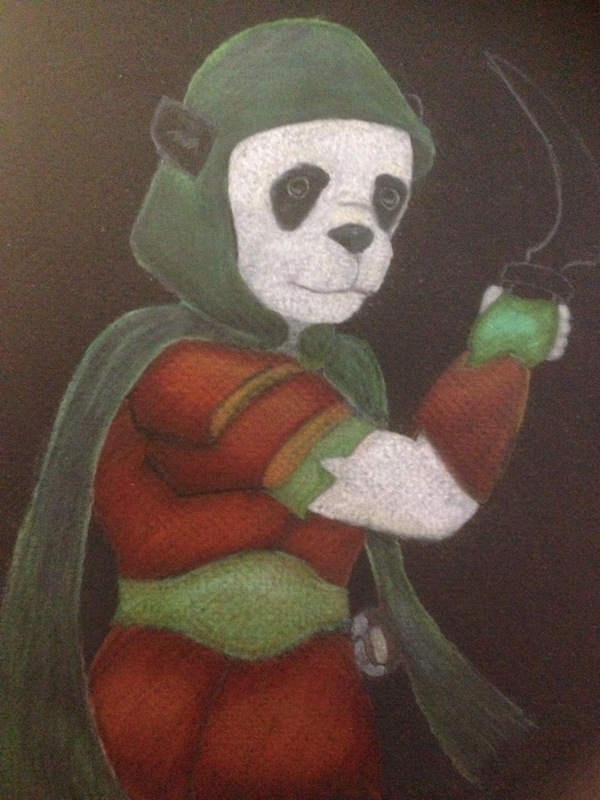 I found that I had to much wax and not enough pigment on my panda’s cloak. So Instead of tossing my pic in the trash and moving on I took a bit of rubbing alcohol to the page and moved forward. It’s not done yet but I’m happy. The rubbing alcohol took off wax when dabbed and pigment when rubbed. First I want to say sorry I missed yesterday. I’ll make it up with a post Saturday. Having some family issues. Second, I’m still working with black paper. It’s not done yet. 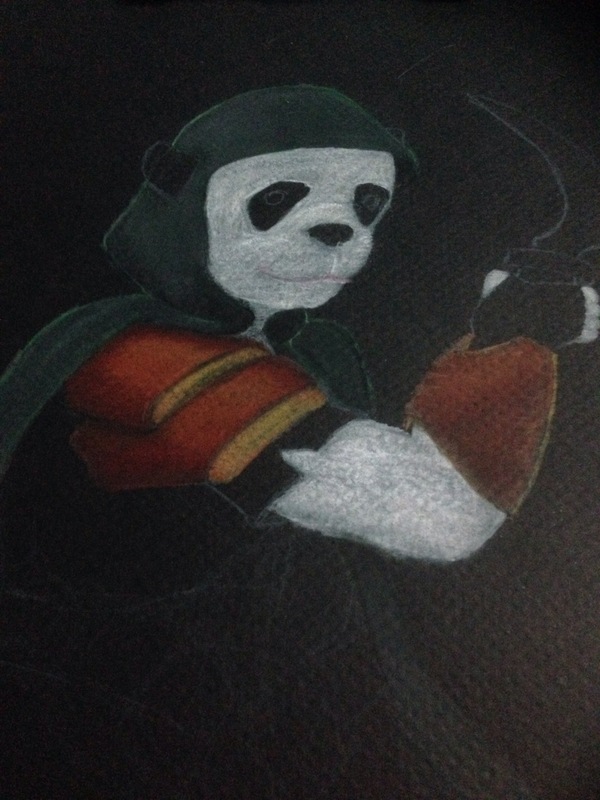 I’m not happy with the fur but I love the armor. I ghost my first commission from someone I didn’t know this weekend. 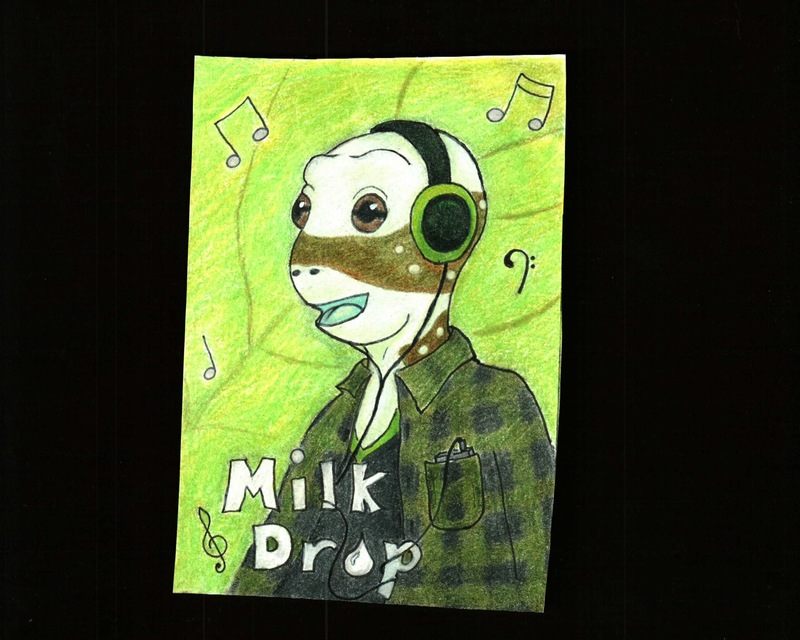 He’s an anthropomorphic milk frog.